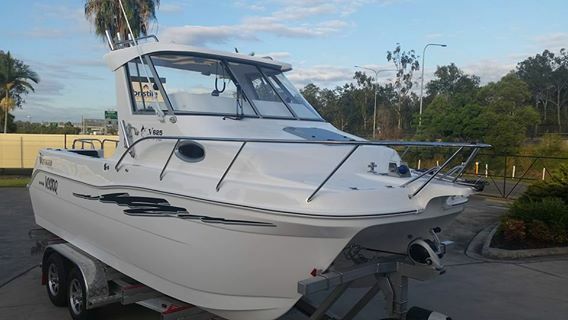 Look no further, Oasis dry boat storage Gold Coast has the perfect solution to keeping boats safe and secure. You can try to cram your boat into your already overflowing garage, at the expense of your vehicle, but many boats are just too tall, and usually, no one has the space to spare anyway! Furthermore, you could store your boat in the yard or driveway, but then it will be exposed to the elements and take up space that you utilise every day. Hence, the best solution to this dilemma has to be Oasis; we have the best dry boat storage right here on the Gold Coast. Our brand new facility offers secure and protected storage for boats, as well as storage for vehicles, caravans and residential or commercial storage. At Oasis, all of our storage is competitively priced and convenient. Oasis Dry Boat Storage - We Tick All The Boxes! Oasis Storage will take the hassle out of storing your boat at home and towage! Our facility provides you with quick access to all the local river systems and open waters. Finally, experience the joys of boat ownership and be safe out on the water. Contact Oasis Storage today for more information. We offer fantastic prices!